Serving Central Brevard...one smile at a time! 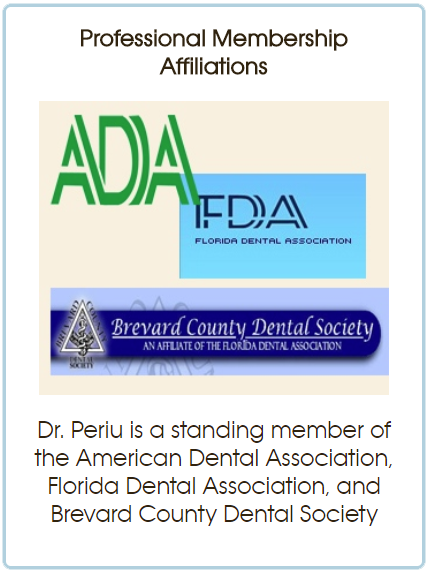 Welcome to Periu Family Dentistry-your friendly neighborhood dentist dedicated to caring, gentle and high quality dental care. Your overall health & well-being is our number one priority & we will strive to make every visit pleasant and comfortable. Our practice is built on trust and quality work so treating our patients to the highest standards is vital to our success. Patients are sometimes anxious and uneasy during dental visits. We respect and understand this while at the same time promise to do all we can to make a difference in providing a relaxing and positive experience. Our compassionate team is caring, professional, and committed to the highest of dental standards. We are dedicated to providing you with excellent, personalized care and service to make your visits as relaxing and enjoyable as possible. We are ever mindful of the value of your time – as well as the importance of each and every patient as a prominent factor in our practice’s ongoing success. Your complete satisfaction is important to us. If there is anything we can do to improve our service, we would be extremely appreciative of your feedback. Please contact Dr. Periu through the site's contact page so that she can improve on delivering the high quality care and service she strives to deliver. Thank you for considering our office for your dental care. We provide the attention and service that you would expect from a professional team and highly-skilled dentist. 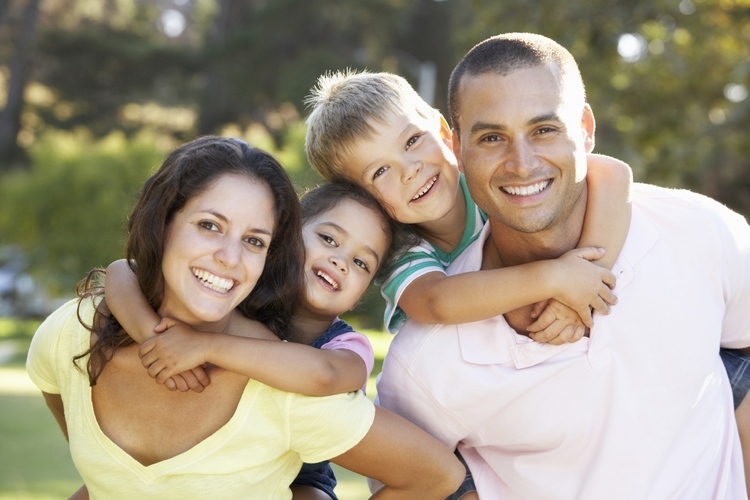 While our dentistry is dedicated to families living in central Brevard County, we're happy to serve patients visiting Florida or looking to move to Florida. Give us a call at 321-622-8960! February is Dental Health Month for Kids. The Team at Periu Family Dentistry are always excited to visit our neighborhood Elementary Schools. If you would like us to visit your child's school (1st-2nd grade), please call our office to discuss future scheduling.